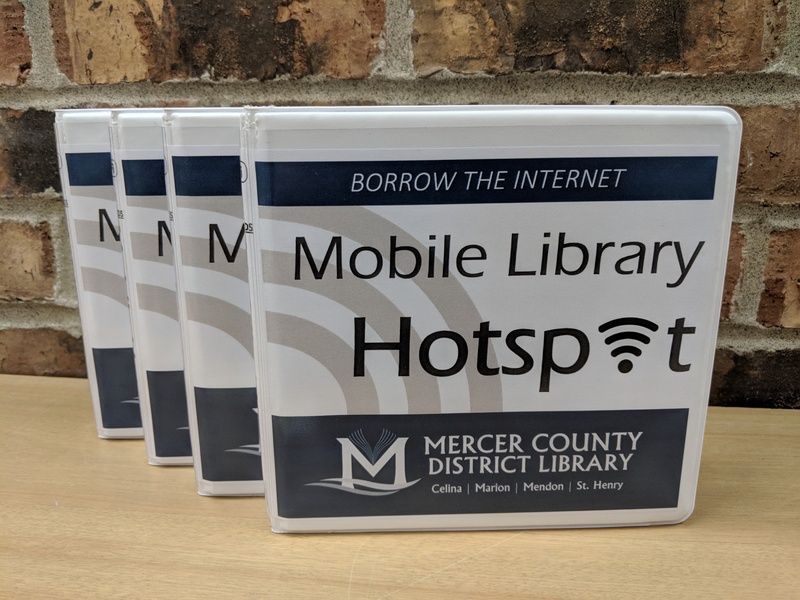 The Mobile Hotspot lending collection provides patrons greater access to the Internet away from the library and furthers the Library’s mission to provide resources to serve the enrichment, enjoyment, and educational needs of the public. Library Hotspots use the Sprint 4G Network. Hotspots are checked out for 14 days with no renewals. Overdue fines are $5 per day maximum of $15 with a $150 replacement cost. Overdue Hotspots will be deactivated. You must be 18 years of age or older to check out a Hotspot. A valid Driver’s License/State ID and Library Card in good standing, with a current address on file, must be presented at the time of checkout. You are limited to one Hotspot per account. You are limited to one Hold per account. An agreement must be signed at the time of checkout stating that you understand the guidelines and will abide by what you have read. Loan Period: Mobile Hotspots may be checked out for 14 days. Renewals are not permitted on Mobile Hotspots. Mobile Hotspots may not be renewed. Mobile Hotspots must be returned in person to loaning library. A staff person will do a visual check to ensure that the device and accessories are returned in good condition. Hotspots should never be placed in Library book drop –you will be responsible for damaged items. The Library reserves the right to refuse service to anyone who abuses equipment or is repeatedly late in returning electronic devices. Overdue Mobile Hotspots will be deactivated. Mobile Hotspots to be used for educational, informational, and recreational purposes only, not for unauthorized, illegal, or unethical purposes. Mobile Hotspot should be kept in a temperature controlled environment; do not leave it in a car. Patrons are responsible for costs associated with loss or damage of Mobile Hotspot and/or cords, adapters, cases, etc. Patrons are not permitted to purchase their own replacement items. The Mercer County District Library is not responsible for websites visited on the Mobile Hotspot.